Currently trending, balayage. Women love it, and with summer here a low maintenance, sun-kissed look is ideal. We have everything you need to make Balayage easy and convenient. Adding these accessories will speed up application and processing time! 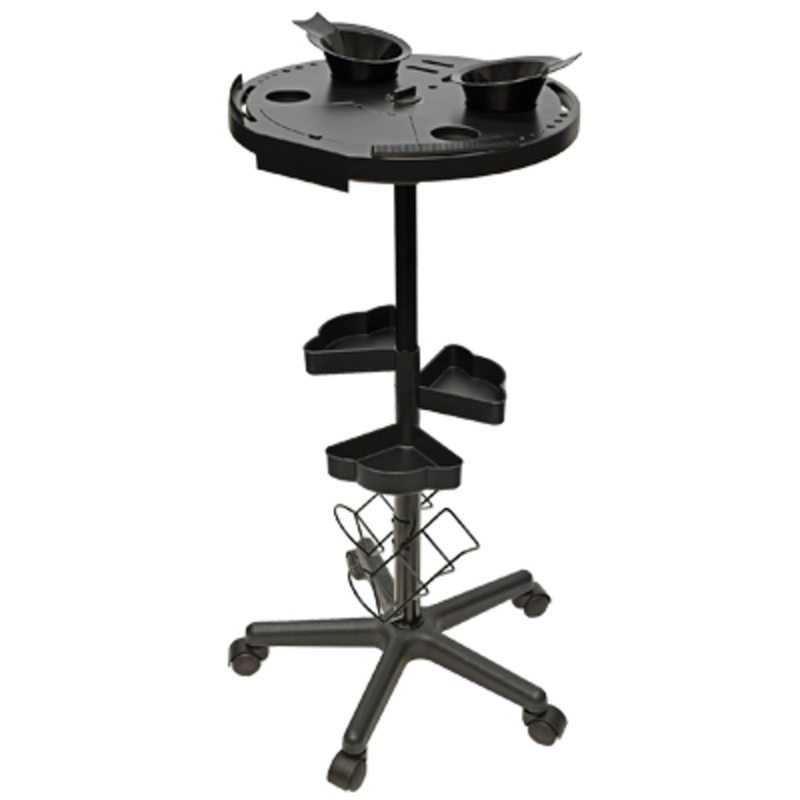 easy to reach with this handy color cart on wheels! 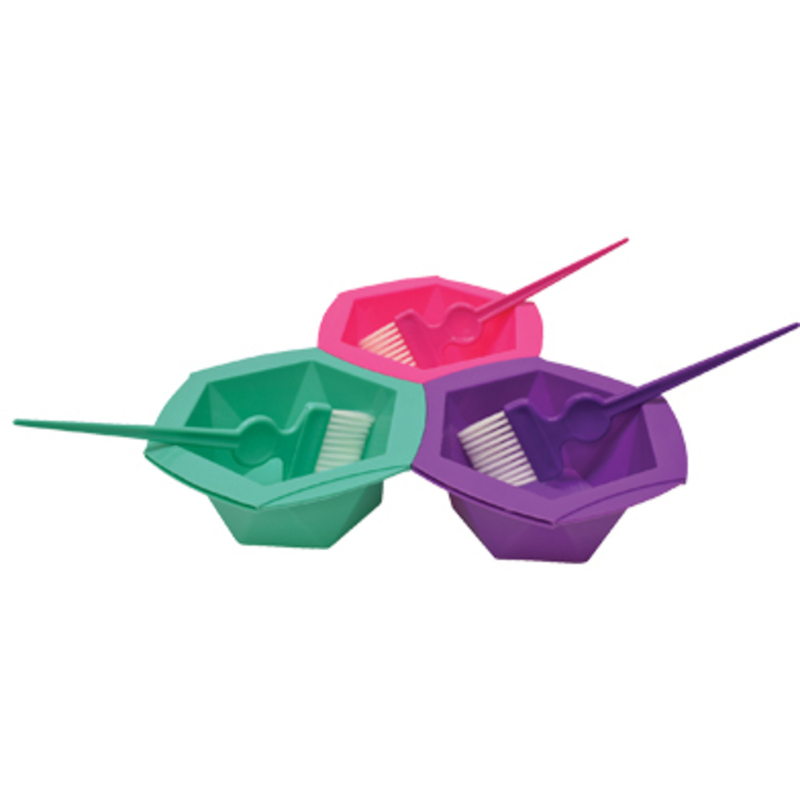 Set of 3 brightly colored bowls in pink, teal, and purple with matching feather bristle brushes. Perfect for staying organized during multi-formula applications. Bowls interlock, creating a stable surface, are stackable, and have a non-slip rubber ring on the bottom. (which lock the hair into its follicle) for better penetration of conditioners and treatments. Also, moistens the hair. Features large 20-minute tank, thermal protector circuit automatically shuts off 20-minute steamer if there is no water in the water bottle. Easy to clean hood, water bottle and residue collector. Reduces processing time of hair color and conditioning treatment. Thermal protector circuit automatically shuts off steamer if there is no water in the water bottle. Easy to clean hood, water bottle, and residue collector. Click here to see everything and anything you need to make your hair coloring services as accommodating as possible, for not only your clients but your staff as well! There Be GOLD in These Spas! Keep Your Make-Up Brushes Clean! Speed Waxers, Check These NEW Roll-On Waxes Out! Yes, We Do Have Organic Wax! RACK them up and NAIL them down! Get Your Wax Applicators Here! Prefer Organic? Come On Over For Organic Cotton! Essential Oil Spotlight - LEMON! Check out this HOT new item! Add Some Sparkle to Your Nail Creations!